It’s not about the food! Coming to the conclusion that I am a compulsive eater did not happen in a “Eureka!” moment. The idea drifted around in my mind, floating to the surface here and there over the years. 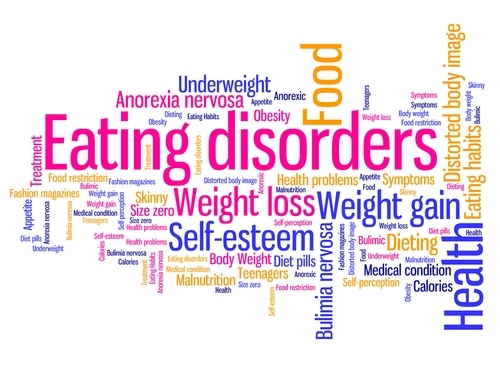 Most eating disorders have little to do with food. Why am I ashamed of eating in front of people? Why do I eat foods when I am stressed that I normally would not – and then feel extreme guilt? Why do I feel like I need to hide my food? Why do I sometimes feel like there is never enough to satisfy me, no matter how much I eat? Why do I feel desperate to get the particular food I crave? Why do I wish there were a magic food that I could eat all day long and never feel full? Isn’t feeling full the purpose of eating? What is the purpose of my eating if I hate feeling full? Why do I not really care about food when I’m happy, rested and relaxed? Why do I forget about food when I’m captivated by something I’m doing? Is this normal? Is this serious? Is this even about food? Am I crazy? Ask yourself the following questions. The more “yes” answers, the more likely it is that you have binge eating disorder. Do you feel out of control when you’re eating? Do you eat in secret? Do you eat until you feel sick? Do you eat to escape from worries, relieve stress, or to comfort yourself? Do you feel disgusted or ashamed after eating? 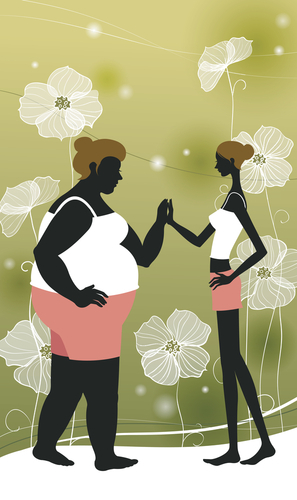 Do you feel powerless to stop eating, even though you want to? I can remember eating in secret as a kid. I remember the shame I felt about eating. At age eight, I learned that eating is bad. It happened during a well-intended teaching moment by a person who loved me very much. The talk was meant to help me, but the lesson that my kid-brain took from the words has been a battle and a burden for me for 31 years. I built up the courage to buy a book. I wasn’t ready to admit to having a problem, but I would read about it. In 2012, I read Breaking Free from Emotional Eating by Geneen Roth. I hid the book because I was embarrassed to be seen reading about eating disorders, but I couldn’t put it down. Every page resonated with me. Have you ever had one of those, “Wow! Someone out there is just like me,” moments? It was as if I felt that realization with every paragraph. I began to understand that compulsive eating has little to do with food. It’s about feelings. Fr@k it, I’m fat again! …and I hate being fat. I thought I had gotten to the point, mentally, that I hated it so much I would never let it happen again. But I did. And I am. Fat. Again. I know the reasons why. I know how to change it. The PLANNING me has it whipped. It is the DOING me that keeps failing. I know that if I get up a little earlier in the morning, I can do an hour walk/jog/stretch routine that will slowly melt away the pounds. I know that if I get to sleep by 9:00 p.m. each night, I can get up early. I know that if I rest enough, I will not crave sweets. I know that what I eat when I am not craving sweets or having a burn-out binge is excellent for my health. I know that if I would just walk back to my bedroom and go to sleep when I am exhausted and overcome with stress, I will not have a burn-out, mindless binge. I have read so many books and articles on healthy eating and exercise that I could probably write my own book. Yet, I continue to gain and lose the same 30 pounds over and over. The staples in my diet on a good day? Chicken, salmon, green veggies, fresh fruit, brown rice, whole grain bread, skim milk, Mega Green juice with protein powder and this awesome antioxidant bread I make every week. Yeah, I LIKE that stuff. I’ve been eating it for so long that I actually enjoy it better than any pre-packaged or fast food. My favorite pizza splurge is the Dominos Pacific Veggie on extra thin crust. I just wish they had a whole wheat crust. I prefer a pizza with veggies and a whole grain crust. I prefer food that I’ve made fresh in my kitchen with every ingredient known to me. Why am I fat when my cabinets and fridge are stocked with those super foods? Reason number one: when I am super tired and heading to my weekend job, I give in to my craving of comfort food. Comfort food to prepare me for a late night laying out State/Metro section happens to be a large Turtle Pecan Cluster Blizzard from Dairy Queen. Reason number two: When it comes to crunch time, I’d rather sleep than exercise. I feel like I never get enough rest. I hurt. I feel as if there is a new pain every day. Someone please tell me that this will change in September when I am no longer working two jobs! I want to be fit. 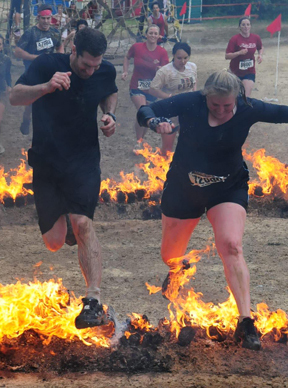 I want to camp and canoe and kayak and hike the mountains and do Warrior Dash much faster than an hour and 19 minutes. I want to swim a mile on Mondays again. I want to feel the muscles in my legs and arms and know that my body will take me wherever I want to go. I want to be fit and capable for ME.